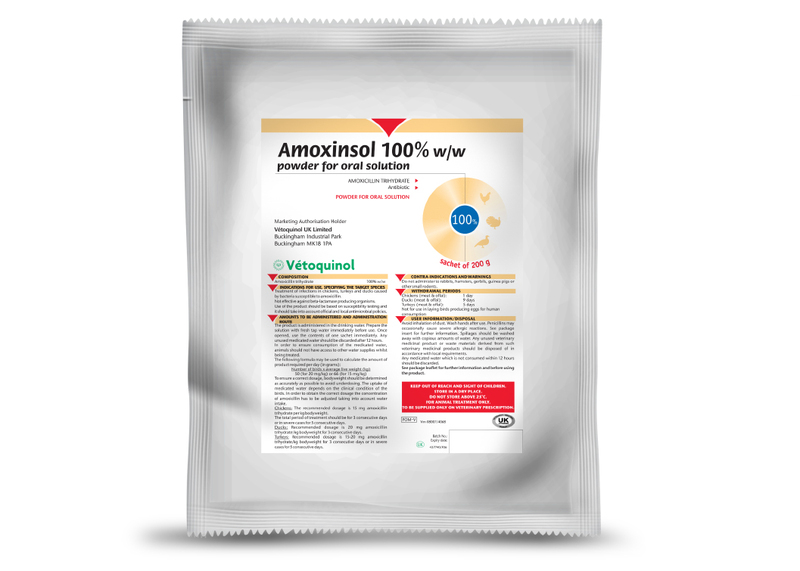 Amoxinsol is a white powder for oral solution containing Amoxicillin trihydrate 100% w/w. To be used for treatment of infections in chickens, turkeys and ducks caused by bacteria susceptible to amoxicillin. It is not effective against beta-lactamase producing organisms. Use of the product should be based on susceptibility testing and it should take into account official and local antimicrobial policies. Pack sizes available are 200g and 75g. Marbocyl P contains marbofloxacin and is presented as a range of palatable tablets which help to improve compliance.